With the 2nd Anniversary Group Exhibition of Gallery Artists, ZIA Gallery enters its third year showcasing outstanding contemporary art and photography. As every news headline on the arts and economy continues to confirm, this is no small achievement. Like artists, ZIA Gallery manages to buck the norm. Since last summer’s group exhibition, ZIA Gallery has welcomed 8 new artists: Melissa Jay Craig, Richard Laurent, Tim Liddy, Zoriah Miller, Dulce Pinzón, Jonathan Ricci, Fumiko Toda, and Nevada Wier. Their works range from Liddy’s trompe l’oeil, copper-constructed paintings of old game board box lids to Melissa Jay Craig’s handmade paper sculptures of mushroom books (currently growing up the gallery wall toward the exit sign). Pinzón’s photos honor the work ethic of real people through pairing them with the appropriate superhero including The Hulk as he one-handedly hauls loaded boxes of fruit off a truck and Spiderman, the skyscraper window-washer. Photojournalist Nevada Wier captures another couple (or three) “Spidermen” in Young Boys in Front of Murong, Wakching Village, India. Observe what looks like an ancient, carved Spiderman descending the wall of the Murong. Spiderman is ubiquitous this summer! Photographs from internationally acclaimed Zoriah Millar are expected at the gallery in time for the August 3rd opening. Zoriah works tirelessly documenting the human condition and its too-often troubled state worldwide. His efforts inform through inclusion in publications from The New York Times and The Wall Street Journal to Cosmopolitan and Elle. Painters Jonathan Ricci and Fumiko Toda bring personal iconography to intuitive abstract paintings that sing to the rhythms of design and color, while Richard Laurent uses refined techniques and a mood of bygone eras to cloak objects and landscape in mystery and a smile. These and all of the gallery artists offer much to contemplate and inspire. 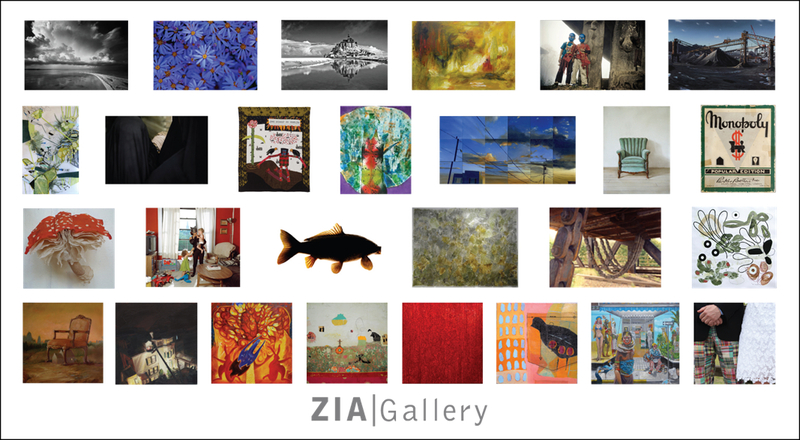 Join ZIA Gallery in celebrating art and artists, as it cruises into its third year serving an appreciative audience. Opening Reception, August 3, 5-7:30pm. The exhibition continues August 3 – August 25, 2012. ZIA Gallery is located 2 blocks from the Winnetka Metra Station. This entry was posted in Openings and Events and tagged art, Chicago, photography, Winnetka, ZIA Gallery. Bookmark the permalink.